Rajasthan formerly known as the land of the kings is the largest state in India. Rajasthan is one of the most famous tourist destination in India. The state houses forts, palaces, lakes, and amazing display of arts and architecture. Rajasthan is rich in culture and heritage. There are places in Rajasthan which are blessed with amazing forests and greenery. Here is a list of some of the best places in Rajasthan which will introduce you to the Indian culture and lifestyle. Jodhpur: Jodhpur also known as the “Sun city” is the second largest and the most popular city of Rajasthan after Jaipur. The city was founded by the Rajput of Marwar. Jodhpur is home to the forts, monuments, and gardens. The city attracts large number of tourists from all around the World. The place is also famous for desert Safaris. Famous attractions of Jodhpur are Mehrangarh Fort, Umaid Bhawan. Jaisalmer: Jaisalmer, also known as The golden City is a World Heritage Site. The city lies in the heart of Thar Desert. Camel safari in one of the most delightful and memorable experience in Jaisalmer. Colorful villages of Jaisalmer will introduce you to the culture of Rajasthan. The city has an amazing architecture. The city is home to the one of the largest fort in the world, Jaisalmer Fort. Udaipur: Udaipur, also known as Lake city or Venice of the East is one of the most beautiful city in Rajasthan, India.The city is not only famous for palaces, monuments and forts but also for temples and shopping. The city receives thousands of tourists from all around the world. The city is very famous for the stunning jain of Ranakpur, Lake Pichola, and Fateh Bagh Hotel. Pushkar: Pushkar is a holy city and a famous pilgrimage site in India. It is one of the oldest cities of India located at the shores of the Pushkar Lake. The city is home to the only temple in the World, dedicated to Lord Brahma. The most famous attraction of the city is the Pushkar Fair. It is a five day fair celebrated annually where people buy and sell livestock. Jaipur: Jaipur, the capital city also known as Pinkcity Jaipur is the largest city in state Rajasthan. The city is home to the palaces, forts and other attractions. It is one of the most beautiful city that receives thousands of tourists from all around the world. 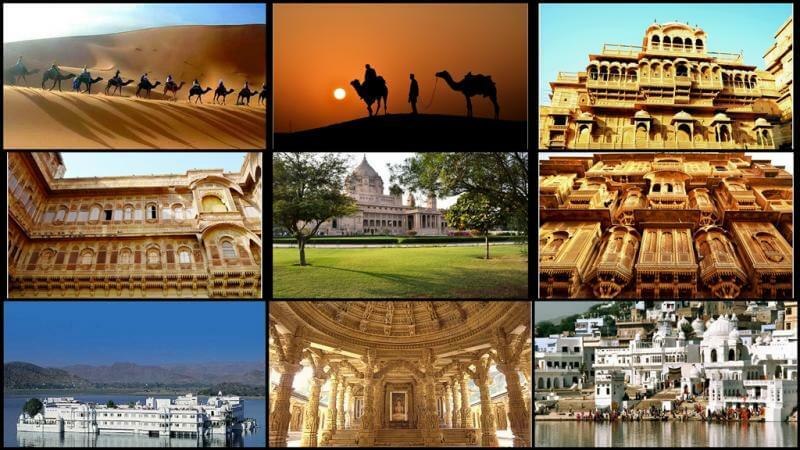 The city will introduce you to the culture of Rajasthan. The city is very famous for shopping. It is a must visit place that give you some cherish and colorful memories.